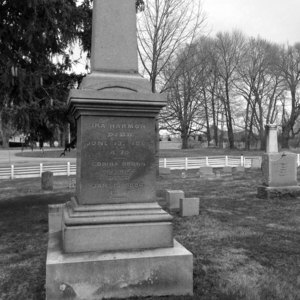 Also known as the Wheatland Cemetery, this picturesque resting place for many Harmon family members is located at the junction of McGinnis, Harmon, and Belcoda Roads. 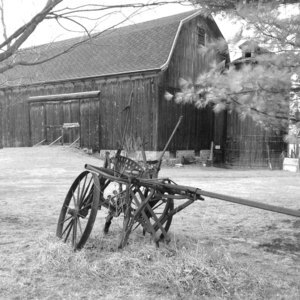 Series of four digital photos have been converted to b/w. 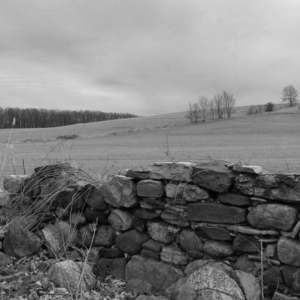 Near the Harmon farm named "O-Ka-lee" are the remains of these stone walls--according to family history constructed by Irish immigrants around the mid-1800s. The contemporary digital photographs have been transformed into b/w versions.